At the beginning of July 2018, SEKEM‘s CEO Helmy Abouleish once again attended in the Economy Council which was this time related to the question “Associative Economy – How does the Organic Sector finance itself?”. 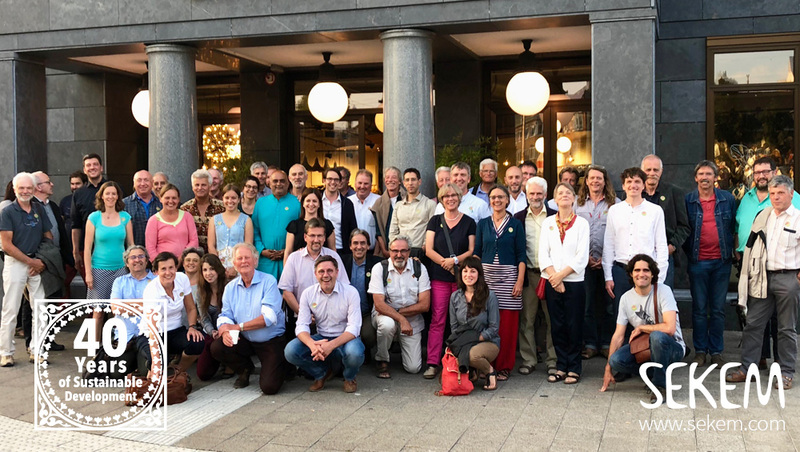 This year’s meeting took place in the Netherlands, hosted by the Organic company “Odin”, which involves as a cooperative consumer in financing. Koos Bakker, founder and until recently CEO of the Dutch cooperative “Odin” that works for many years with an associative approach. The urgent need for bringing the concept of associative economics into more concrete practice, was examined and discussed on the basis of individual examples. The “Bio Development AG” presented itself as an alternative financing model. Through a qualified minority participation, entrepreneurship remains locally, and a high level of common values can be guaranteed. Through the consolidation of only a few shareholders, of whom all advocate for associative economic activity and biodynamic agriculture, the “Bio Development AG” finances itself completely without the involvement of banks. In the context of the financing question, the keyword “return of investment” inevitably appeared. It became quickly clear that an associative framework requires a completely new definition of terms such as “revenues” or “profits”. Together for a solidary economy: The participants of this years Economic Council in the Netherlands. In this context, the impressive presentation by Volkert Engelsmann, founder and CEO of “eosta”, one of the largest organic distributors in Europe, on the true costs of food was of high relevance. As SEKEM could also prove for Egypt in its study “Future of Agriculture”, the costs for our daily bread are much higher than they appear to the customers in the shop shelves. If, for instance, the impact on the people or the costs for environment damages were considered in the prices of the products – and sooner or later they will be – Organic products would already be cheaper today than the conventional ones. The extreme consumption of natural resources is still largely ignored in pricing, so that more and more fertile soil disappears, climate change is increasing, or water is wasted – even though we have already exceeded the planetary boundaries in many sectors. Hence, it is just a matter of time until considering the external costs of food production will become unavoidable. Volkert Engelsmann was able to show once again that true cost accounting is a fundamental element of associative economy and financing. 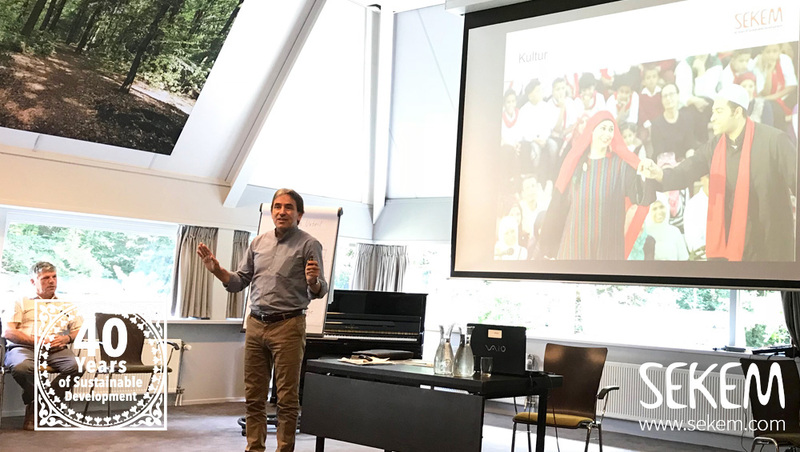 With his detailed and lively presentation about the commitment of “eosta” to sustainable environmental and social responsibility, as well as by his personal credo “think big, act small, scale up fast”, Volkert Engelsmann was able to make an inspiring and lasting contribution to the conference. 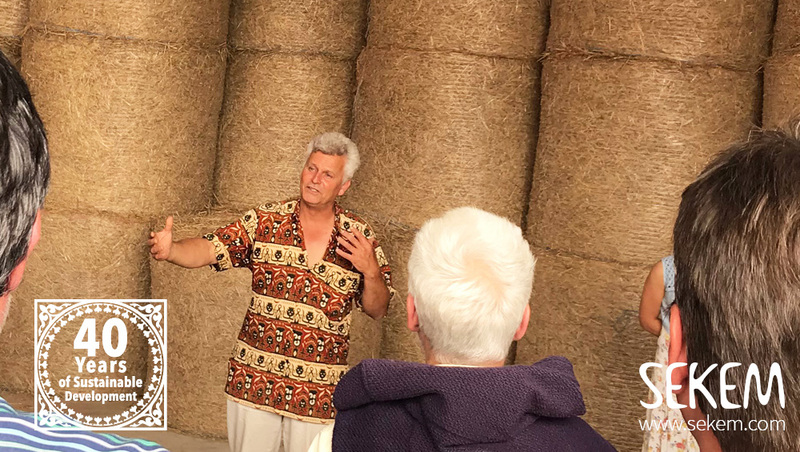 Tom Saat, a farmer who cultivates 150 hectares biodynamically on the outskirts of Amsterdam, and cooperates with the city in an associative way, showed how practice and growth can be achieved in reality. The farmer is also a supplier and member of the cooperative “Odin”, which operates over 20 shops, a wholesaler, delivery service and more than 250 pick-up points. 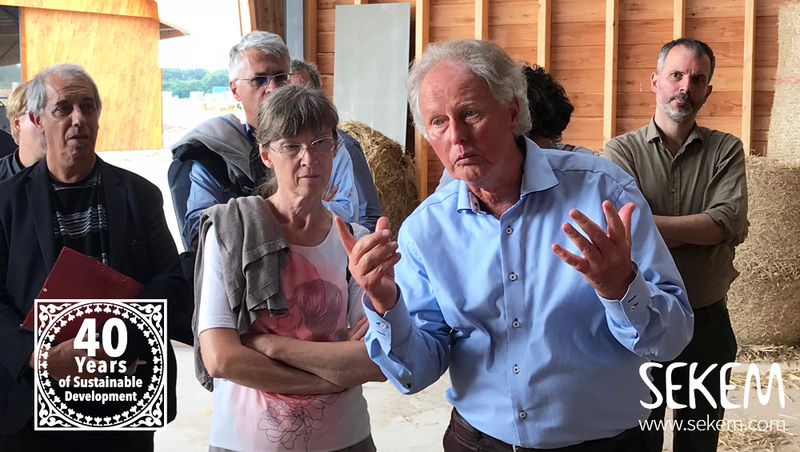 At one of the “Odin”-shops, Thomas Harttung, chairman of “Sustainable Food Trust” presented his company “Aarstiderne”, that delivers over 45,000 customers in Denmark and Sweden with organic boxes and became a leading enterprise in this sector worldwide. “The future development of our earth is depending on us.”: Helmy Abouleish presenting SEKEM’s Economy of Love. Subscribe to our newsletter and join 11,216 other subscribers. 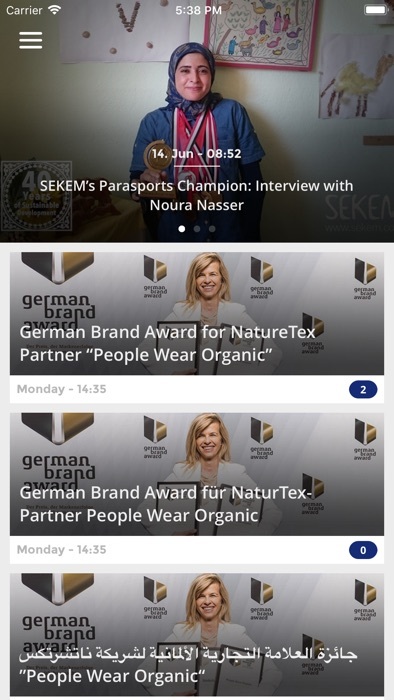 By sending your data you agree to receive information from SEKEM about our activities and development and agree with our Privacy Notice. You may unsubscribe at any time. Welcome! We have send a confirmation email to your email address. Please click the confirmation link and you shall expect to receive our newsletter beginning of next month! We3 are happy to have you with us!